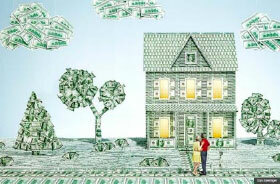 When you are unable to buy a house with your own cash, then you would tend to go for mortgage loan. As a first-time homebuyer, the most important thing you can do is be prepared well before you need a mortgage. Start by establishing a good credit score and saving up money for a down payment. A high credit score with a sizable down payment will make you a strong candidate for lower interest rates. Finally, don’t be afraid to shop around or say no. If you’re offered an interest rate that’s too good to be true, then it probably is. With mortgages, there can be a lot of details in the fine print, so it’s a good idea not to sign anything until all of your questions have been answered. How is a mortgage structured? Principal & Interest Most of your monthly mortgage payment is applied toward principal and interest to the lender, like a typical loan. The principal refers to the original amount that was loaned to you. On top of that amount, you agree to an interest rate at the time you take out your mortgage; 5-6% interest is considered standard, but the interest rates will largely depend on your personal situation including your income, career, and credit score. Taxes Property taxes may differ geographically, but in general they are calculated based on a percentage of your property value. Paying a portion of your property taxes each month throughout the year as part of your mortgage can be better for your budget and ensures that you’ll be in good standing with the government when tax time comes. Homeowner’s Insurance It’s no good for you or your lender if something disastrous like a fire or flood happens to your home. When you have a mortgage, your lender will likely require a homeowner’s insurance policy to protect your home, which is partly their investment. The insurance premium can be rolled into the cost of the mortgage to simplify your finances. If you have a good credit score, you may have the option to pay your taxes and insurance separately from your mortgage, which will give you a lower monthly mortgage payment but require you to be financially prepared to pay those annual fees when they are due. Private Mortgage Insurance In addition to homeowners insurance, your lender can tack on an extra fee for private mortgage insurance (PMI) if you are unable to make the traditional 20% down payment when you obtain your mortgage or if the lender decides that you’re a high-risk borrower. This becomes an extra cost to you as the borrower to protect the lender in the event that you default on your payments. If you’re stuck paying PMI up-front, double check to see if the mortgage company offers the option to cancel the PMI after you’ve paid off a certain amount of your mortgage. How do I choose my mortgage company? 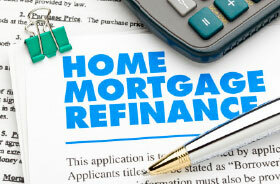 Mortgages are offered by companies called lenders, who are usually banks or mortgage brokers. Many community banks or credit unions also offer mortgages and then end up selling them to a bigger lender later on. That’s why it’s extremely important to do your research to find out which companies are the most reliable and have the best reputation for their lending services and mortgage products. It’s a great idea to start at your local bank, but don’t overlook the advantages that can come from going with a larger lender, like lower interest rates. 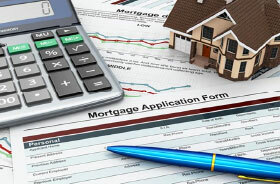 ImproveMortgage.com is an online news and information service providing editorial content and directory information about mortgages and loans. ImproveMortgage.com is not a lender or mortgage broker and does not offer loans or mortgages directly or indirectly through representatives or agents. The information provided by you to ImproveMortgage.com is not an application for a mortgage loan, nor is it used to pre-qualify you with any lender. ImproveMortgage.com is not responsible for the accuracy of information or responsible for the accuracy of the rates, APR or loan information posted by brokers, lenders or advertisers.